Flickr has announced that the 5 billionth photo has been uploaded to the site. The 5 billionth Flickr photo announcement on the Flickr blog claimed this shot of a building in Vancouver, British Columbia was the actual snap in question, much to the delight of the photographer in question. 20-year-old snapper Aaron Yeo captioned his pic, boasting: "I am Mr. 5 Billion, and there ain't nothing you can do to stop me." Facebook is still way ahead in the lead, in terms of actual numbers of photos uploaded, with over 15 billion to date added to the social network, and around 2.5 billion photos currently being added to the social network every month. However, Flickr's steady and substantial growth indicates that there is a different type of user committed to the Yahoo-owned photo-sharing site, with the emphasis on quality photography over and above pictures of your drunken friends on a stag party. "Going to Flickr is ideally like going to an art gallery," said Yeo. Flickr has been steadily growing by around a billion photos a year for the last three years. 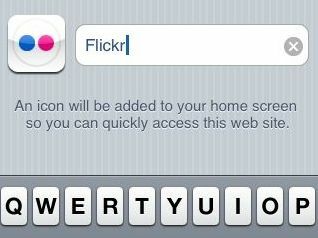 "In Flickr, you can give your friends, family, and other contacts permission to organize your stuff -- not just to add comments, but also notes and tags," outlines Flickr's about page. "People like to ooh and ahh, laugh and cry, make wisecracks when sharing photos and videos. Why not give them the ability to do this when they look at them over the internet?"